Email is a beneficial and cost effective marketing tool – but what makes an email campaign effective? 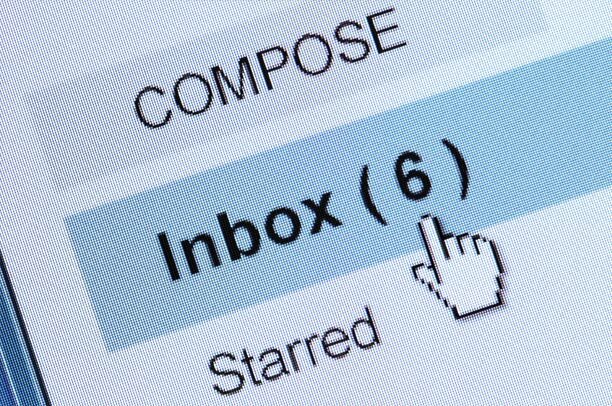 Think about the amount of emails you receive per day and each of their content. What makes you read some and discard others? The two most important components to consider in an email campaign is relevancy and segmenting your list to target your content accordingly. Relevant and captivating content is one of the most important ways to make your email campaign effective and keep your customers interested and engaged.No one wants to stay subscribed to boring and irrelevant email blasts! With so many ways to find out information especially on the internet and an average online consumer spending around 51 seconds scanning over your newsletter; engaging and relevant content and the way in which you deliver this, could make all the difference. Instead of sending one generic newseltter to your entire target list, break your readers into smaller segments with similar interests and buying behaviours to tailor content to best meet their needs.For Example: You own a local shop and have started selling your goods online. If you segment your email subscriptions into two groups – local customers and online/interstate customers – you can send updates on your local store including sales and events to your local customers and information regarding online discounts and free shipping to the other. This keeps your content relevant and informative. 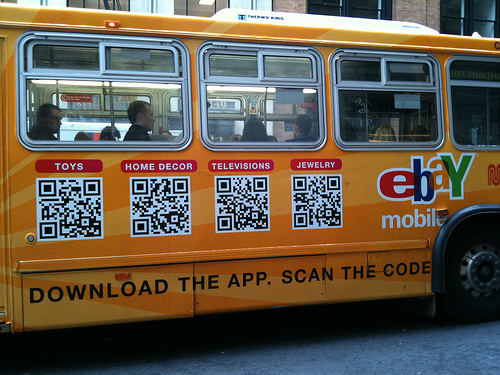 QR Codes – Are they dying a slow and painful death? If you’re a marketer or have paid any attention to digital trends over the past few years you’ve most likely heard of QR codes and maybe even used them. For the benefit of those who haven’t: A QR code – short for Quick Response code is essentially a square barcode that can be scanned and read by anyone with a smartphone with a camera and compatible app. The QR code can then direct your mobile device to a website link, video, image or file, check you in on Facebook, enter you in a competition, add items to a shopping cart and more! QR codes have been used in mainstream marketing for a number of years now but haven’t ever really taken off like some may have predicted. It’s not really the poor QR codes fault, the technology works but the application of them is generally poor. 1. Does it make it easier to access the information? The main issue with QR codes is that they’re mainly used to direct customers to a website when it’s far quicker and easier to just type the url into your web browser or search the company than download an app (or open it if you’ve previously downloaded) and then scan the code. 2. Is it easy to scan? A giant QR code on a billboard might seem like a good idea (or not) but how are people meant to scan it as they’re driving by? Just simply take your eyes off the road, download or open the app, stick your arm out your window with your phone out your car window, attempt line up the code from 100m away while moving and scan it all the while trying to avoid crashing your car and hopefully you’ve done this before you’ve driven past the billboard. The same goes for on moving objects like the outside of buses or trains. Do you really want your customers to get run over? And to a similar extent TV commercials. By the time you’ve opened the app the ad is over, it’s a great way to frustrate your customers. 3. Can they view the content? While a QR code in a magazine sounds like a much better idea then the above options, you must think about where the magazine is in circulation. If it’s an inflight magazine then how can the viewer see the content it directs them to when they have no access to internet? Some flights do now have wifi onboard but currently this is not readily available on commercial flights. Yes, people can take the magazine with them, sure I’ll just add that to my pile of inflight magazines sitting on my coffee table (correct me if I’m wrong but who actually does that?). The question of content also applies in places where there is no mobile reception such as subway stations. 4. Is there a better alternative? The problem with technology trends is everyone wants to get on board, just to be seen to be cool and trendy. 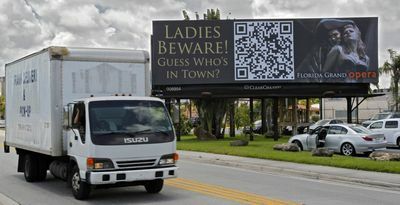 You must think before putting a QR code on any advertising medium, is there an alternative that. Among the most ridiculous examples of this are QR codes in emails. Firstly many people read their emails on their phone now. I’m not sure how you’re supposed to scan a QR code with your phone if the QR code is on your phone!? I know many people receive emails on their computer so they could scan the code with the phone off the screen right? Right, but why not just put the link in the email so they can simply just click it instead!? 5. Do people know why they should scan it? 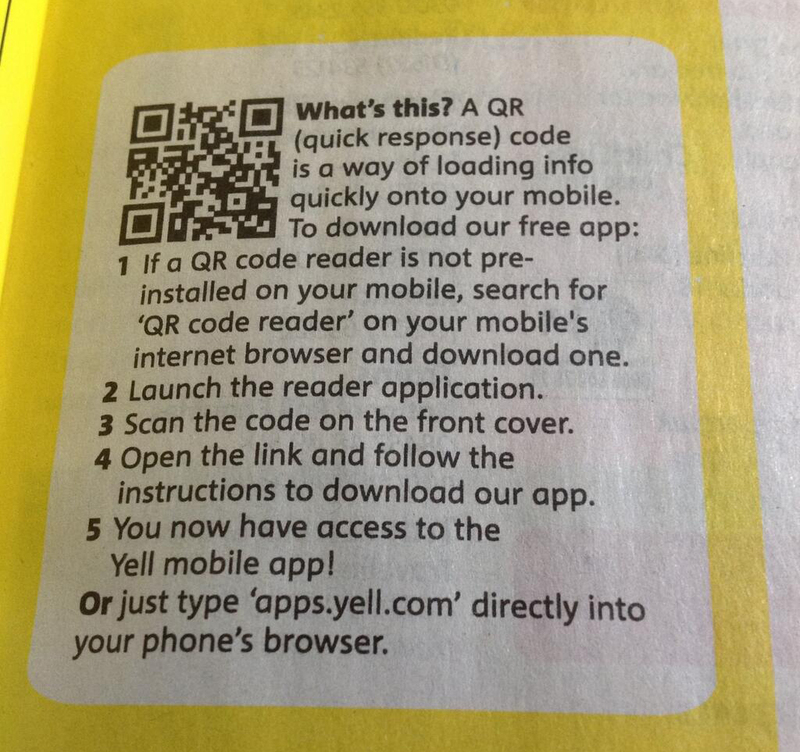 Tell people what the QR code is directing them to or what it’s for. Is it going to direct them to like your facebook page, open a video, download a coupon to redeem. Let them know why they should scan and where it’s taken them. It’s also good practice to include another option other than scanning. 6. Is it worth scanning? Give people a reason and a benefit to scan. Is it worth them downloading an app or getting out their phone to scan it? If it’s simply just your website url then the answer is no, probably not. 7. Have you checked the link? Make sure it’s not a broken link and works on all mobile devices including android and iphone. Other things to consider… Are you directing your customers to a mobile friendly website? Does the link work? So the next time you’re thinking about slapping on a QR code on something just think about it. I believe one of the best and most successful uses of QR codes was Mastercards Priceless campaign using QR codes onYankee stadium seats placed around New York. New York Central Park “World Park” turned the park into an outdoor mobile museum. So what’s next? A number of companys have come up with alternatives, notably touchcode which requires an additional invisible layer to be printed on to the material. According to the creators it’s both cost effective and easy to implement. Once the additional layer has been printed on the item users can simply touch their phone to it and access the information.This does away with having to line up the code and scan but does require additional process unlike QR codes. Whether this will become a viable replacement to QR codes remains to be seen. One thing is for sure there will always be new technology and as a good marketer your job is to decide whether there is a good reason to use it. Social Media allows businesses to talk to their target audience in a social setting and is increasingly becoming a key part of the modern marketing mix. 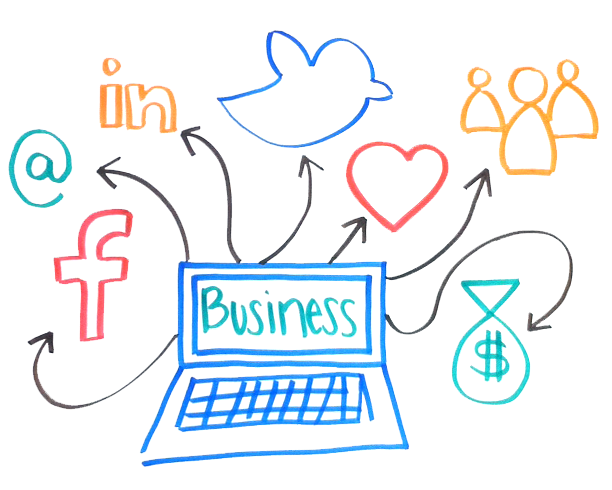 Below are a few social media and digital tips to help your business make 2014 a great year! We’ve been told time and time again, every website needs to be optimized for mobile. But what does this mean? To put it simply, your website needs to be user friendly on a variety of screen sizes. Having a responsive design and thinking about how your consumers will interact with the website on a variety of devices is extremely important. The biggest annoyance I have found in some mobile optimised sites is that they are boring – they might be easy to navigate but sometimes I would rather use the desktop site on my mobile and tablet than use the mobile version. Make sure when you are creating a responsive design that you ask others for their opinions. Also start thinking about other ways you can incorporate the mobile experience such as apps, SMS, responsive emails etc. Even though Facebook, Twitter and other social media sites can allow you to really nail down your audience when advertising, it may pay off to investigate specific niche sites that will often be an affordable and highly targeted alternative. Creating great content and driving traffic back to your site is going to remain the number #1 way to generate new leads. Publishing content that is interesting, engaging and informative is a great way to stay in the minds of your target audience. The main aim of your social media content is for it to encourage public engagement. We ultimately want your followers to like, comment and share the content, for it to appear in their friends feeds and to generate greater awareness. You may not realise but the public is getting smarter when it comes to advertising. Spam-like content is becoming increasingly frowned upon in the public eye and is not tolerated. This brings us back to content. If any of your content comes across as spammy, irrelevant and unwanted it will be deleted and they will hit the ‘unlike’ button. When thinking about content for your social media accounts have a think about yourself and others.. if a page you are following posted this would you like it? would you find it annoying? spammy? If you wouldn’t like it, then it probably wouldn’t be appropriate. Social media is part reactionary and part planning. Just like advertising and any other business efforts, it is important to have a strategy in place to create goals and objectives, measure your success, plan your time efficiently and maintain consistency. It is also a good idea to research what others in your sector are doing, what are you competitors doing differently to you? At Jarvis we like to say, ‘You can’t be all things to all people’ and the same goes with social media. Pick and choose which social media platforms will work for you and concentrate on them. Don’t try and be on all social media platforms just because you think you need to be – it wont work. For example: If your business is in the financial sector, you might find that Twitter is helpful in reporting up to the second finance trends and news; and a blog may be effective in explaining in a more in-depth way what these changes mean to your clients, where other platforms don’t really offer your customers anything useful. If your an artist, visual platforms such as Pinterest and Instagram will help you showcase your work to the world and other platforms such as Twitter may not fit. It is important to evaluate each social media platform and really nut out whether they will enhance your messages. Like I said before, the public is getting smarter when it comes to advertising. The younger market doesn’t want to be sold to. They don’t want you to tell them what to do and what to have. It has become more and more important to have your products endorsed by someone credible, be recommended by word-of-mouth or appeal on a personal level. By empowering your best customers to spread the word for you, you can gain trust in a new audience and hopefully turn them into new customers. Image based platforms such as Instagram and Pinterest are great ways to showcase visually what you are about. While text is not dead, it would be a great idea for you to think of ways you can incorporate images into your other social media platforms that will compliment your written content. Whether it’s meant to inform or advertise, consumers like to watch short videos to learn more about businesses. People are lazy – they like to watch things to gather information rather than read copious amounts of text. It may be relevant to your sector or it may not (see point 5 & 6) but you should investigate as to whether video content will add value to your website or even allow you to relay information to your target audience in a personal fashion. The way the public engages with Facebook is completely different to Twitter, Pinterest is completely different to Instagram so why should the messages be the same on each platform? If you are using social media tools like Hoote Suite to publish content on ALL social media platforms with one click.. think again. Evaluate the medium, how are others using it? Keep in mind the different ways of communication and tailor you messages and their language to the appropriate channels. 2014 is going to be an exciting year. Be sure to stay on top of your businesses social media efforts.